In response to the drum circle, the NYPD has closed E 79th St. near the Mayor’s home and they are now describing it a “frozen zone.” A little research online shows that a “frozen zone” is usually an area where the NYPD use their authority to suspend the law in order to maintain the law. The declaration of a “frozen zone” amounts to declaring martial law or creating a state of exception and has previously been used by the NYPD during terrorist threats. Josh Harkinson of Mother Jones has reported on the “frozen zone” being used to deny reporters access to Liberty Plaza. So what is “frozen” in these zones? 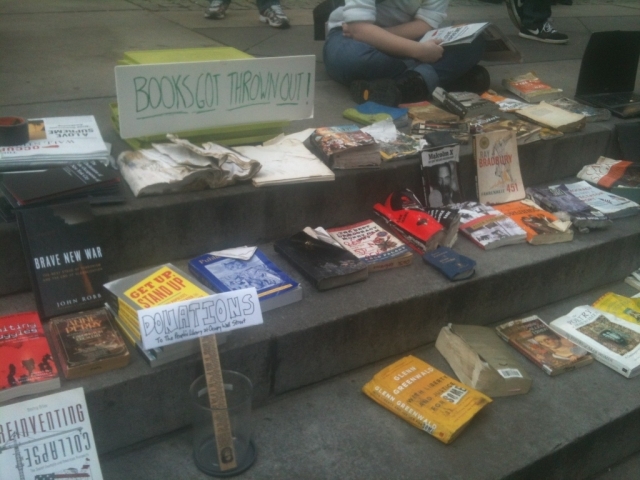 Today, the People’s Library is displaying books that were destroyed by NYPD and DSNY on 11/15/11 during Bloomberg’s attack on #OccupyWallStreet. The books are currently in front of the iconic New York Public Library branch on 5th Ave and 42nd St. It is Intergenerational Day at Liberty Plaza. Representatives from the Elder Council will lead a worship service in Liberty Square at 3:30pm. Following the worship service, elders will host a conversation with Occupy Wall Street demonstrators and other interested individuals at 5:30pm at Judson Memorial Church (55 Washington Square South). 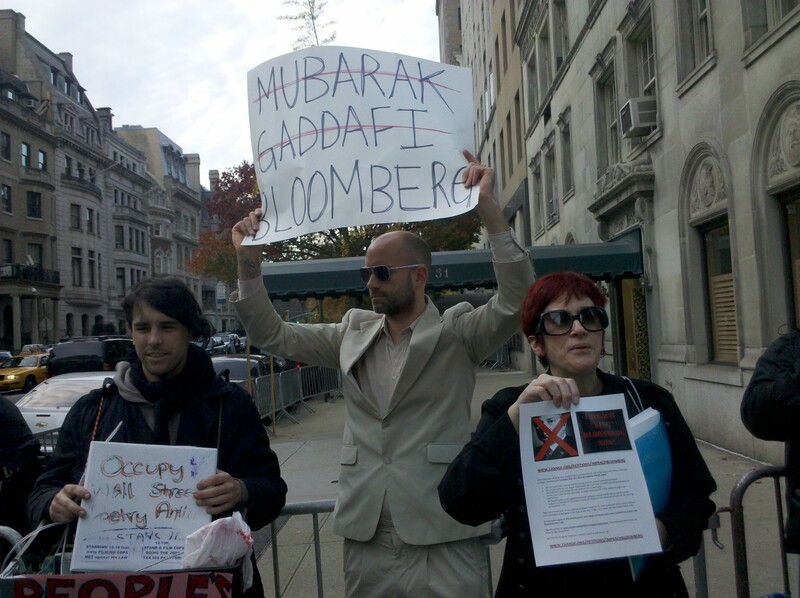 And at 2pm today, occupiers begin a 24 hour drum circle at Bloomberg’s home: 17 E 79th St. 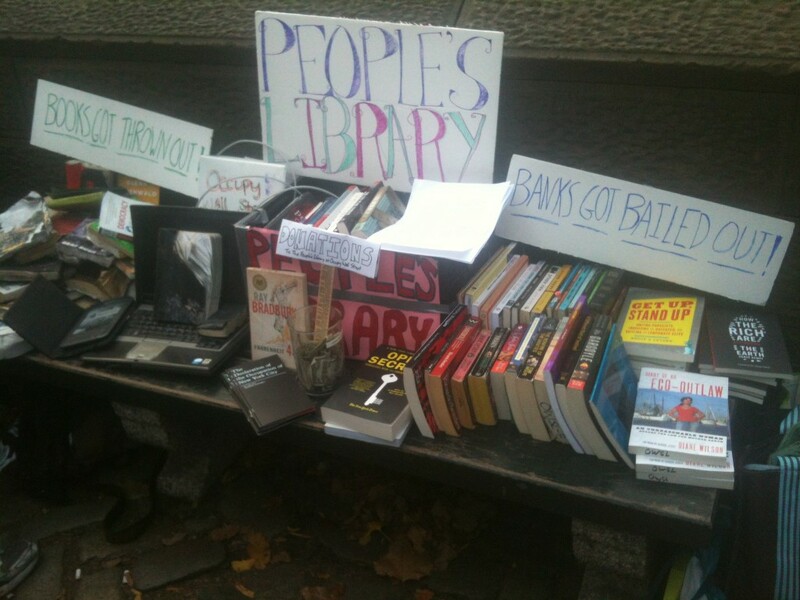 The mobile People’s Library will be on site! Everyone is welcome – bring something to make noise with. Join the Facebook event here. Updates on all of today’s events here. 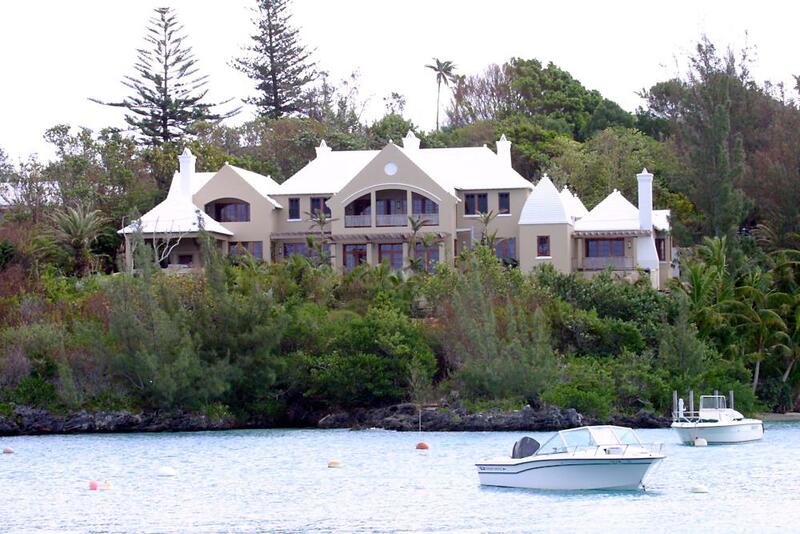 Next up, occupying Bloomberg’s house in Bermuda for the winter?